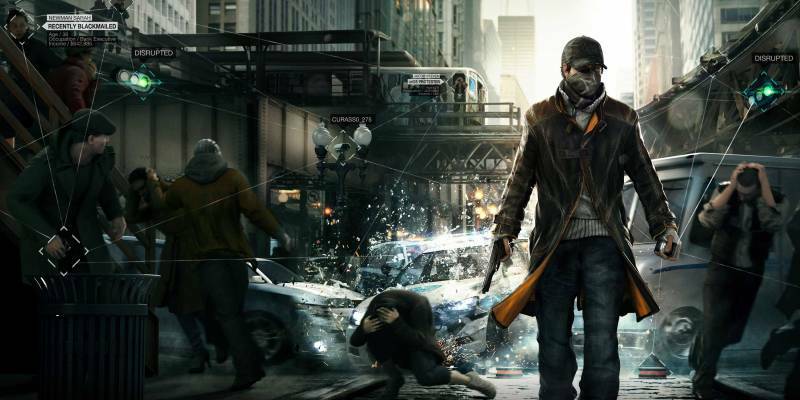 You’ve finished Watch Dogs – what do you play next? Another big game release has come and gone. Watch Dogs, one of the most anticipated games of recent times, entered with a bang and has left with a whimper (according to some gamers). We’re big fans of Dark Souls at musicMagpie and we loved this sequel to the 2011 original. While it lacked the same punch as its predecessor (we’re hardened veterans, we know what to expect), it still had that magic combination of incredible atmosphere and hard-as-nails gameplay. Be warned though: Watch Dogs will seem like Barbie’s Race & Ride in comparison. A highly anticipated game that ended up being a bit disappointing? That sounds familiar! Murdered: Soul Suspect has received pretty poor reviews since its release but the concept screams cult classic: you play as a ghost detective investigating his own death using a whole bag of ghostly tricks. It’s a ridiculously cool idea, regardless of the (apparently) poor execution. It might not be worth paying full price for but if you sell Watch Dogs, it won’t set you back too much. Here’s a nice change of pace: a side-scrolling RPG about a princess. Aww. Child of Light has been receiving good reviews, with particular praise for its art style and old school RPG style. Best of all, it only costs £11.99. Bargain! If Watch Dogs is typical of modern gaming (big sandbox, lots of filler, relatively easy) then Wolfenstein is a full-on throwback. It’s a good old fashioned shooter where you gun down Nazis…and not much else. Basically, you know what you’re getting with Wolfenstein. If you’re after a great story, The Walking Dead: Season Two is the game for you. The follow-up to one of the best games of last year, Season Two follows a young (and unexpectedly tough) girl called Clementine as she desperately tries to survive the zombie apocalypse. It’s short on action, with emphasis placed on conversations and decision-making, but the consequences of those decisions can be genuinely heart-breaking. The game is released in ‘episodes’, with Episode 4 (the penultimate episode) expected in July – plenty of time to play through the (critically acclaimed) episodes so far! MGS shares Watch Dogs focus on stealth and technology, albeit with a much heavier focus on the former. Don’t expect too much game though: Ground Zeroes is a ‘taster’ of next year’s The Phantom Pain and is very, very short. The average playthrough takes 3 hours, although one YouTuber finished it in 7 minutes! It’s still a brilliant game though, and only costs a wallet-pleasing £20. What games have you played recently that you’d recommend? Share your suggestions on Twitter, Facebook or in the comments.